Siblings and/or patient honored at various NY Islanders games. Join us for an amazing game, meet-and-greet and overall awesome opportunity. Contact info@candlelightersnyc.org to learn more for the remaining 2018 season. Celebrate Love! Join us for family fun evening of food, drinks, fun and lots of love! 5pm start; contact info@candlelightersnyc.org for more details. We have a limited number of lift tickets for tubing and skiing at Camelback, Okemo and Hunter! The tickets are for LIFT or tubing only. Contact info@candlelightersnyc.org for more details/sign-up. Candlelighters NYC has a limited number of tickets to Blue Man Group in NYC. Contact info@candlelightersnyc.org to check availability. Limited tickets available to Candlelighters NYC families. Contact info@candelightersnyc.org for tickets. Limited tickets to Candlelighters NYC families. contact info@candlelightersnyc.org for details. Events by WCGL is creating a picnic environment for you at Osprey's Dominion on Long Island! Part of the proceeds benefit Candlelighters NYC! Click here to learn more about this fun day! We have special access to the Philharmonic event in Central Park for our families. Join us for a unique and enjoyable evening! Candlelighters NYC families should contact info@candlelightersnyc.org for more information. The CNN Champions for Change series celebrates the work of people who make a difference in their communities. We are honored to have CNN air a segment about Candlelighters NYC on 06/17 at 6pm EST. Tune to CNN as anchor Ana Cabrera takes viewers through a journey about our beloved families and our efforts, in addition to Ana's own family journey facing pediatric cancer. Every year, Candlelighters NYC enjoys the sights and sounds of NYC's fireworks celebration. This year is no exception - email us at info@candlelightersnyc.org for more information. Join Candlelighters NYC as we join Hudson Harley Davidson for a day of fun and fundraising! Have a great day of music, great food, a kid's carnival and more! Candlelighters NYC families should email info@candlelightersnyc.org for more information. Ranch Trip: Animals & Fun Galore! Join us as we take a day trip to Windham, NY to visit third generation animal trainer and presenter, Jenny Vidbel, and her many furry friends! You may know Jenny and her animals from the Big Apple Circus! The 70 acre farm is a great place to spend the day for families. For more information and to join us, email info@candlelightersnyc.org. We'll have a blast this summer with our friends from the amazing California-based band, Slightly Stoopid. Their School's Out for Summer 2018 Tour brings them to Asbury Park, NJ in July and we'll be there! 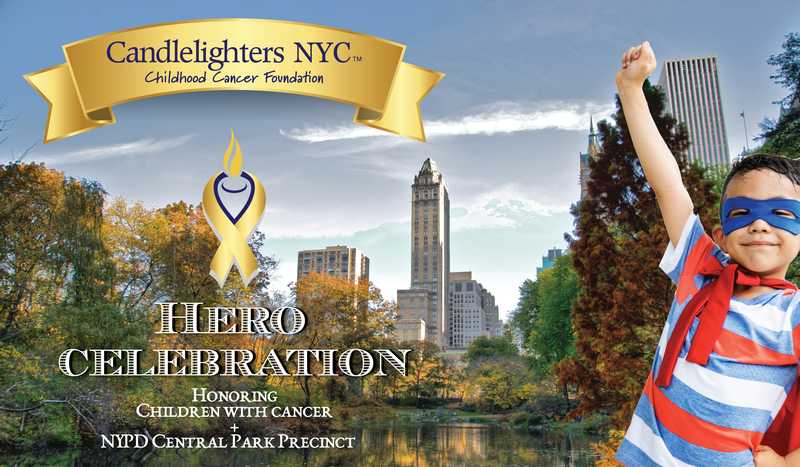 Limited tickets available for our Candlelighters NYC families - email us at info@candlelightersnyc.org to find out more. We'll have a blast this summer with our friends from the amazing California-based band, Slightly Stoopid. Their School's Out for Summer 2018 Tour brings them to Coney Island in August and we'll be there! Limited tickets available for our Candlelighters NYC families - email us at info@candlelightersnyc.org to find out more. Candlelighters NYC families can enjoy a private costume shopping experience for the 2018 Halloween season. Join us for shopping, fun and a meet and greet with PJ Masks - email info@candlelightersnyc.org for more information! Spooks & Sweets – Halloween Party! Thanks to Sugar Factory, Candlelighters NYC families will enjoy an evening of spooks & sweets this Halloween! Email info@candlelightersnyc.org to join us! The Loeb Boathouse Central Park, E. 72nd St.